Very easy to use, good build quality, cheap price tag. A little on the small side. The Daewoo KOR6L65SL is a solo microwave, featuring a slick silver exterior and a modest 20 litre capacity. On full power it delivers an 800w output, complete with a dual wave microwave system. Overall it includes 5 different power levels, from defrost to high. 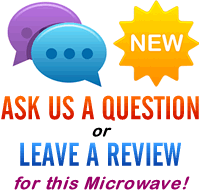 The timer goes up to a maximum of 35 minutes, making this microwave a little unsuitable for slow cooking dishes for long periods of time. On the plus side, there are only two controls to set - simply move the top dial to set the mode, and then set the time using the lower dial. Both dials are well labelled, and there was no need to consult the manual before use. The simplicity of operating the various functions makes this ideal for the elderly and for those who struggle with complicated appliances. The overall capacity is pretty small at just 20 litres, and so this silver microwave oven is probably most suited to those with smaller families, or for those who just require a small and basic microwave for simple tasks. 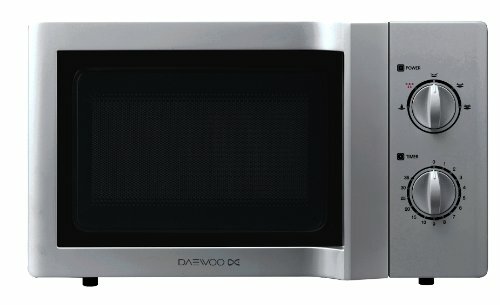 If you after an easy to use, small and cheap microwave then the Daewoo KOR6L65SL is well worth considering. what size plates does this microwave take please.